«Tennis is mostly mental; you win or lose the match before you even go out there», used to say Venus Williams, known as one of the greatest professional female tennis players. Whether a «singles» match between two opponents or a «doubles» involving two pairs of players, tennis always requires a high tactical sense as well as a flexible mind combined with strength, speed and power. And all that requires intense self-composure while facing your adversary at a distance. «Tennis is a sport which speaks for itself», admitted the former world tennis champion Andre Agassi. This Olympic sport, that came to light in Birmingham (UK) as lawn tennis, in the late 19th century, is much more than hitting the ball in a standardized 78-feet long court. In fact, intensive training has been required for the players since when the British Major Walter Clopton Wingfield first established the rules and designed the currently used rectangular surface in 1873. This is even more obvious when it is practiced by professionals attending the greatest international competitions such as: the Grand Slam Tournaments (Australian Open, French Open, Wimbledon and US Open) or the Rolex Monte-Carlo Masters. Serve, forehand, backhand, volley, half-volley, overhead smash, drop shot and lob represent the personal «ABC» of any skilled tennis player. Careful attention must be paid to every detail like the way to hold the racket, the so called «grip», on which a successful shot depends — in order to create the right combination of pace and spin. 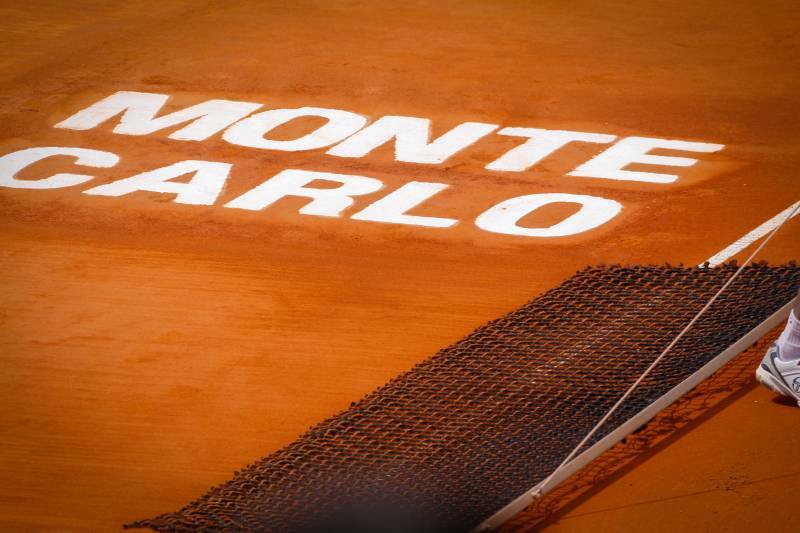 Tennis, one of the most «democratic» sports involving millions of amateurs, professional players and supporters worldwide, is annually celebrated at its best in the Principality on the occasion of the Rolex Monte-Carlo Masters (RMCM), held this year from the 13th to the 21st April 2019 with its 113th edition. This male-top-player prestigious tournament, founded in 1897, is played as a milestone of the ATP World Tour Masters 1000 within the Association of Tennis Professionals (ATP). 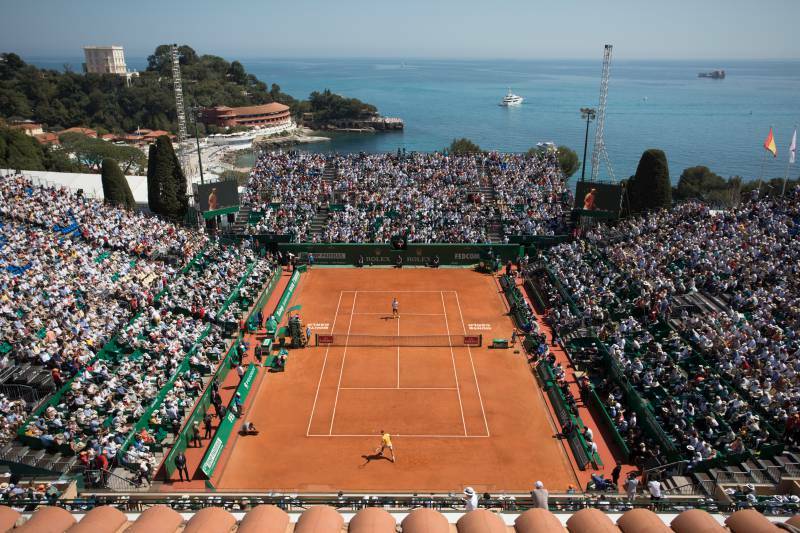 Every year, the tournament sometimes referred to as «the Monegasque Masters» blooms in the April-May season attracting the best international tennis players ready to challenge each other on the renowned clay courts based in the neighbouring French territory of Roquebrune-Cap-Martin. 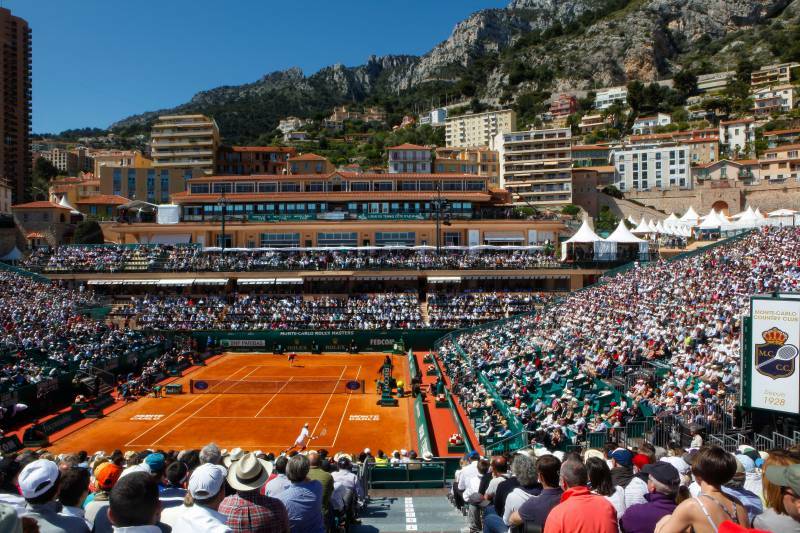 Following a long-lasting tradition directly related to the English community that used to stay on the French-Italian Riviera in the late eighteenth century, the success and thrills of the Rolex Monte-Carlo Masters continues unabated. 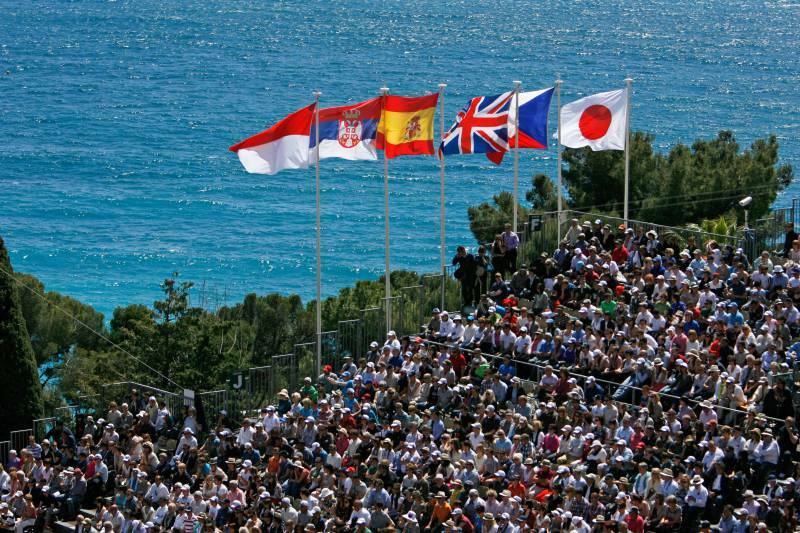 The lucky fans can enjoy a parade of tennis stars like the American twins Mike and Bob Bryan, the Italians Fabio Fognini and Simone Bolelli, the Swiss player Roger Federer, Frenchmen Nicolas Mahut and Pierre-Hugues Herbert, the Spaniard Feliciano López, the Serbian Novak Djokovic, popular resident of Monaco, and Croatian Mate Pavić. 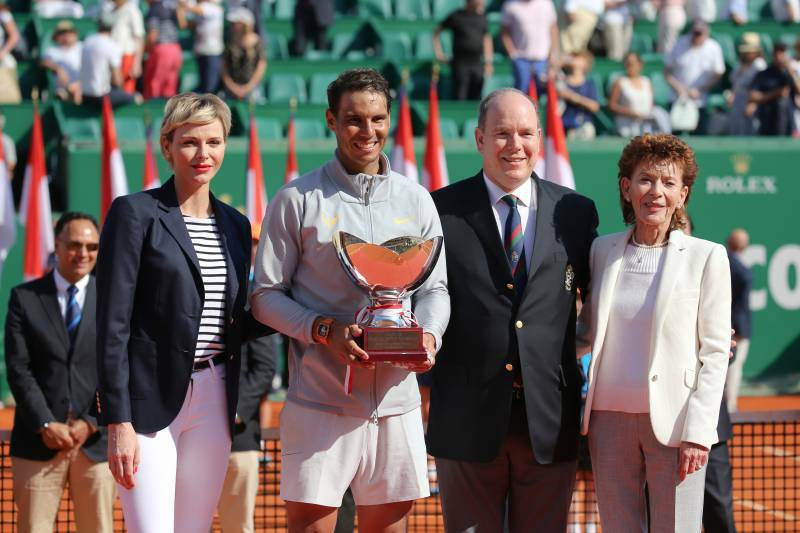 The 11-time record winner Rafael Nadal, from Mallorca, was awarded the RMCM trophy 2018 by H.S.H. Prince Albert II of Monaco himself. 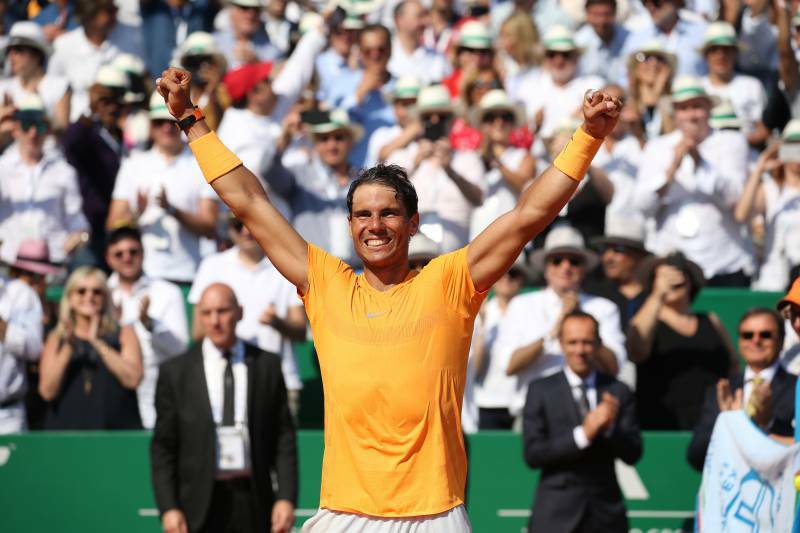 Nadal announced that the Rolex Monte-Carlo Masters is the most beautiful event of the year. Not least, it supports the Prince Albert II of Monaco Foundation and other benevolent institutions in order to protect the environment. The charity dinner gala «Grande Nuit du Tennis» (The Grand Night of Tennis), in its 27th edition (April 2019), will gather VIPs and sportspeople for a good cause. 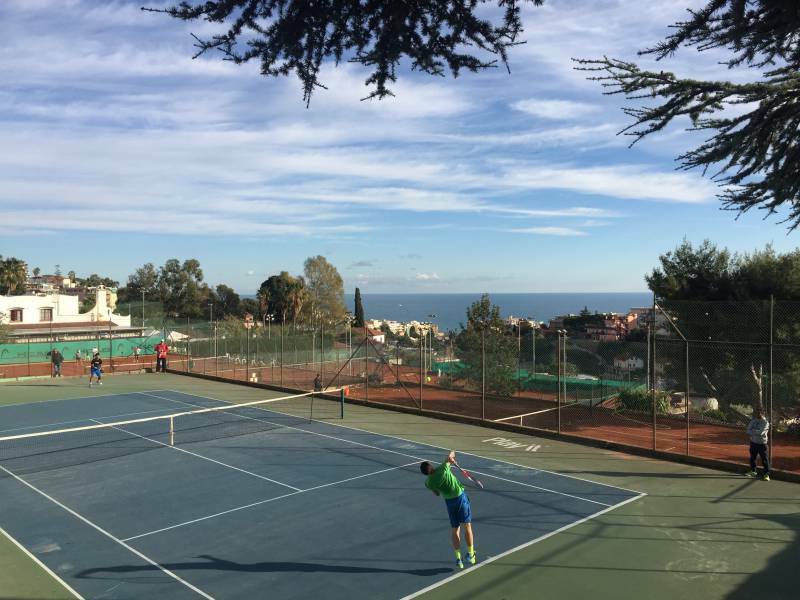 Practicing tennis on the French-Italian Riviera is still one of the most popular and exciting sport activities to enjoy throughout the year in direct contact with the mixed and exotic landscape of the Mediterranean. Let us make a quick tour of the most historic tennis clubs. 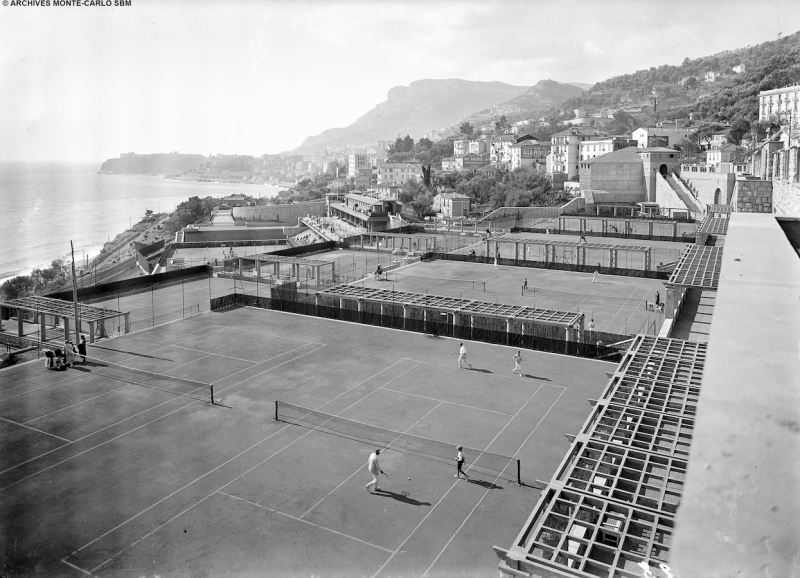 Since its foundation in 1893 under the name of «Lawn Tennis de Monte-Carlo» as part of Hôtel de Paris premises, the major Monegasque tennis club, promoted by the Société des Bains de Mer (SBM), has always been considered as a reference point. Despite having changed its location and name several times, H.S.H. Prince Louis II made a new substantial investment (100 million francs) to create a new tennis court area and facilities, following the Art Déco designs of the French architect Charles Letrosne. The multi-terraced pioneering structure, honourably founded in 1928, consists of 23 tennis courts (including 2 covered courts and 2 hard courts), a «Roaring Twenties» style bar, a «Club House» panoramic restaurant able to host 150 guests and a dressing room area serving up to 700 members. Today, additional activities are available to enjoy the Club: a fitness centre, a swimming pool, two squash courts, a putting green, a snooker zone and a pro-shop. The Monte-Carlo Country Club is a true hymn to tennis as recognized by the former tennis player and fashion designer Ted Tinling in 1928. And the Rolex Monte-Carlo Masters is another proof of this. In fact, every year it attracts more than 135,000 spectators, more than 400 journalists and international tennis experts, 80 referees, all attending the 9-day prestigious tournament. It is a tradition tradition full of princely charm that is being carried out meticulously under the current presidency of Baroness Elisabeth-Ann de Massy, cousin of H.S.H. Prince Albert II, daughter of H.S.H. Princess Antoinette. 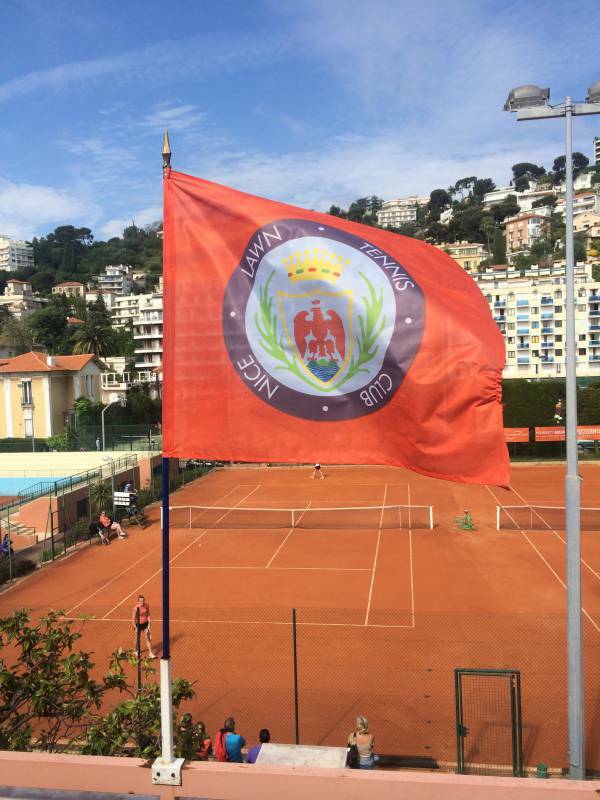 Nice Lawn Tennis Club (LTC) can be regarded as a part of the history of the Côte d’Azur tennis world being founded in 1890, just after the first modern regulations were established and the kicking off of the well-known Wimbledon British Tournament (1877). 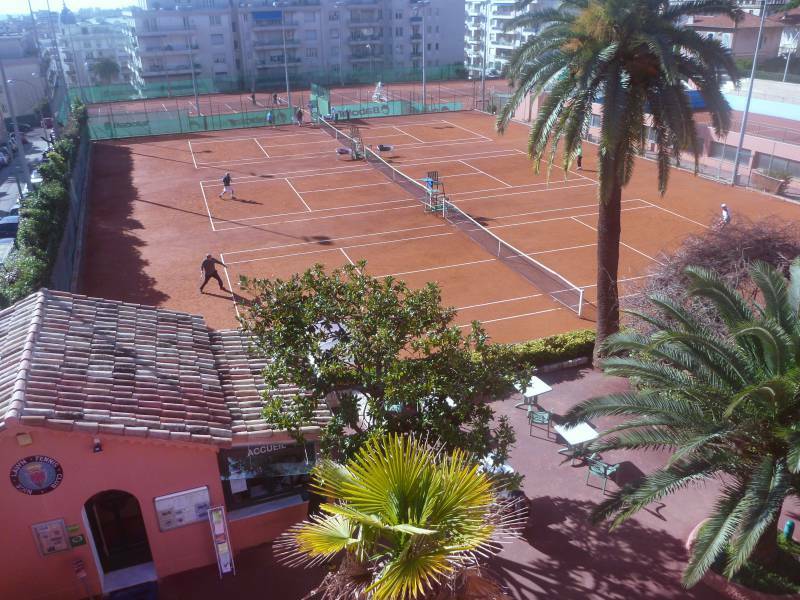 At the very heart of Nice Ville, it welcomed the first Tennis-Études National, ahead of its time, training at that time some significant figures like Yannick Noah, a French winner at Roland Garros. 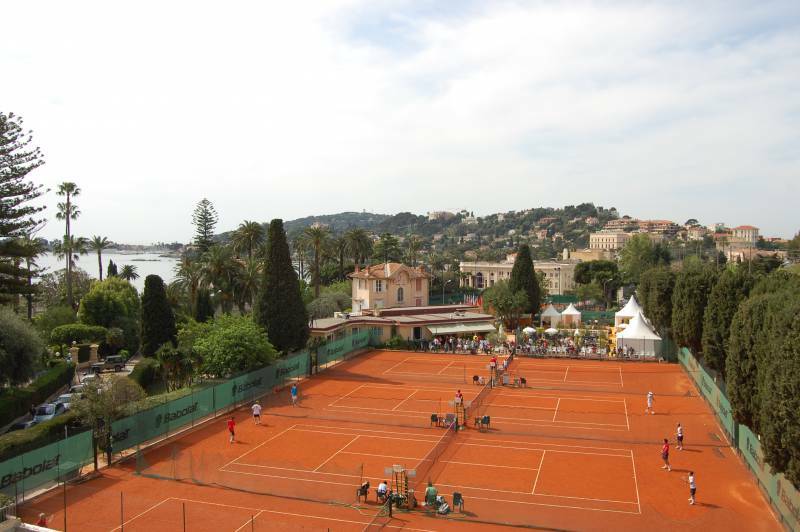 Having hosted the renowned Open de Tennis de Nice (from 1987 to 1995) and the ATP World Tour 250 (from 2010 to 2016), it currently supports 2 national teams classified 1A at the Championnat de France and others attending major regional competitions. The LTC female team chaired by Alizé Cornet (best singles world ranking: No. 11, 2009) and Fiona Ferro (world ranking: No. 96, 2019) will play next season in the top French division. The huge Club House still represents a benchmark, being surrounded by 18 tennis courts: 12 lighted clay courts, 5 hard courts and a major court hosting up to 600 spectators. There are also 2 green courts, inaugurated half a year ago. The structure is equipped with comprehensive facilities, 2 areas dedicated to paddle, a fitness area, a bridge room, a gourmet restaurant «Les Terrasses du Parc Imperial» and a pro-shop. The Tennis School is run by a skilled team of coaches that offers an incremental learning pathway. It provides single, group & junior club lessons, school holidays internships, high standard weekly courses and school-sport educational programs. Different colours highlight the players’ courts from youth to adult, from beginners to experts. This all allows the testing of any technique and tactic as well as professional match simulation in accordance with international tennis rules. Originally conceived in 1977 according to the will of Giuseppe (Pino) Fassola and then officially inaugurated in 1980, the Solaro Tennis Club includes 10 tennis courts in red clay, in hard floor and artificial turf, plunged in a tropical green area overlooking the Mediterranean Sea close to Sanremo city centre. It offers visitors the opportunity to play or learn tennis as newcomers or professionals, at any time of day or season in a relaxing atmosphere, being welcomed by a Moorish-style white Club House equipped with a leisure reception, a fully-fitted fitness area, «Palestra Azzurra», for physical and technical preparation, an open air 50-metre swimming pool, a slow-food restaurant & bar «Bistrot del Sol» and multi-room accommodation, «La Locanda Azzurra» (The Blue Inn). 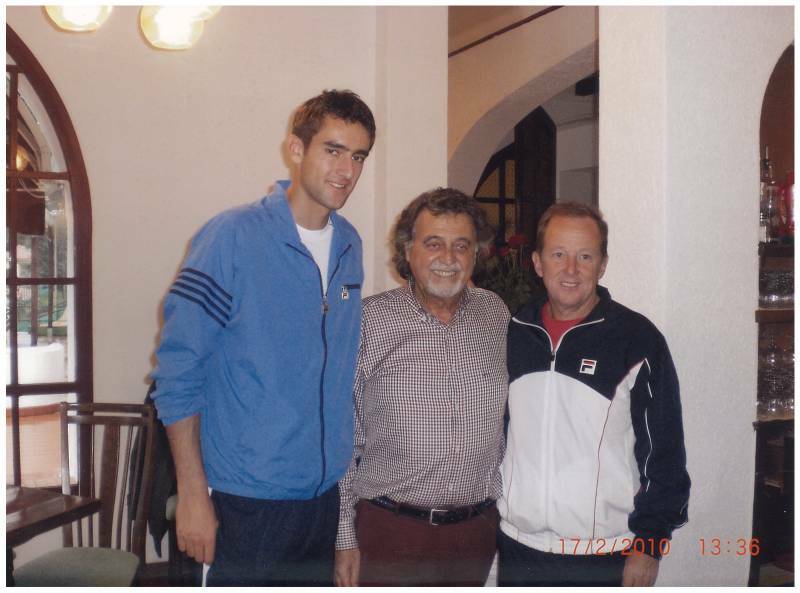 The tennis club routinely hosts Italian Tennis Federation (F.I.T.) tournaments, regional teams or amateurs matches as well as qualified individual or group classes and mini-tennis according to a long-established tradition kept by the current president. In the past, in fact, the Sporting Club hosted 2 ATP tournaments, a relevant Davis Cup match (Italy vs South Korea) in October 1982 and the renowned European Junior Individual Tennis Championships 14 & Under in 1996. The Pino Fassola Tennis School keeps on serving as a technical reference for fresh talent thanks to a team of professional coaches. The Bob Brett Tennis Development International School is addressed to youth players, following the distinguished Australian coach’s innovative approach. 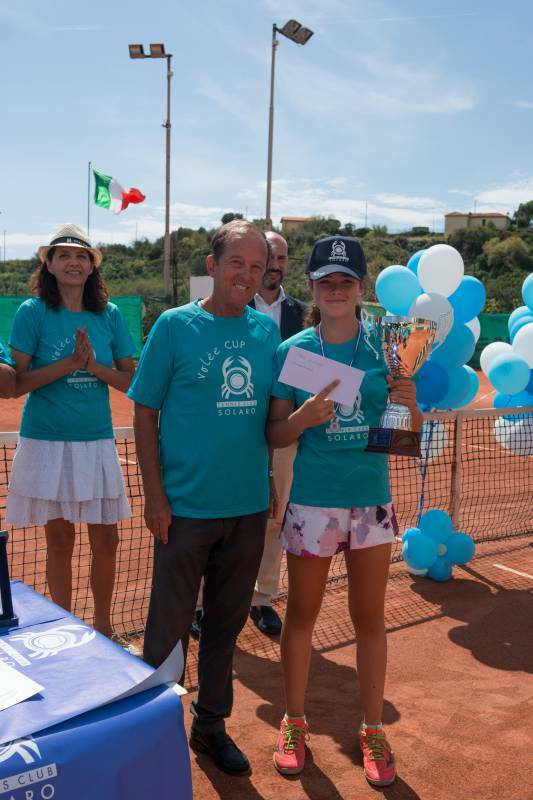 The annual Teenagers Tennis Tournament «Volée Cup», in memory of the founder Pino Fassola, gives its awards to the best male and female performances both at educational and sport level, combining youth creativity and knowledge with sport tactics. 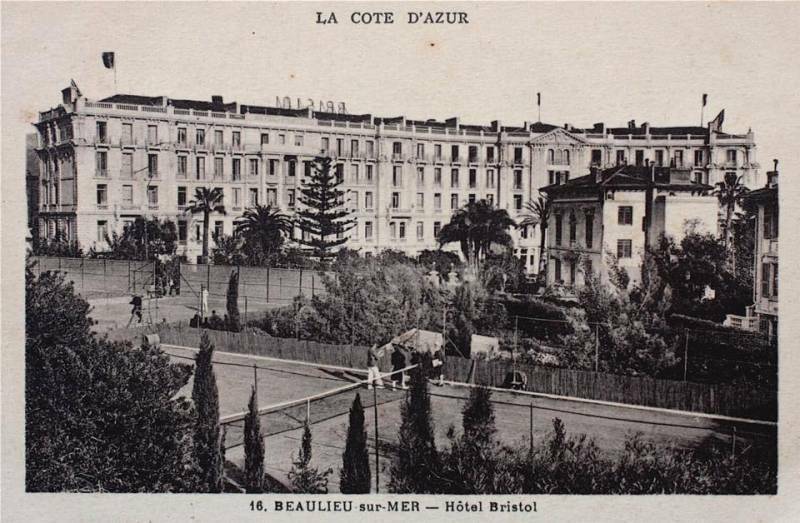 The Lawn Tennis Club de Beaulieu is one of the oldest Clubs of the Côte d’Azur, being founded in 1899 by Sir Blundell Maple, Victorian furniture entrepreneur, owner of a charming estate in Beaulieu, two steps away from the sea. In 1921, this prestigious club was the set of a memorable match between the well-known French player, Suzanne Lenglen and Miss Elizabeth Ryan. 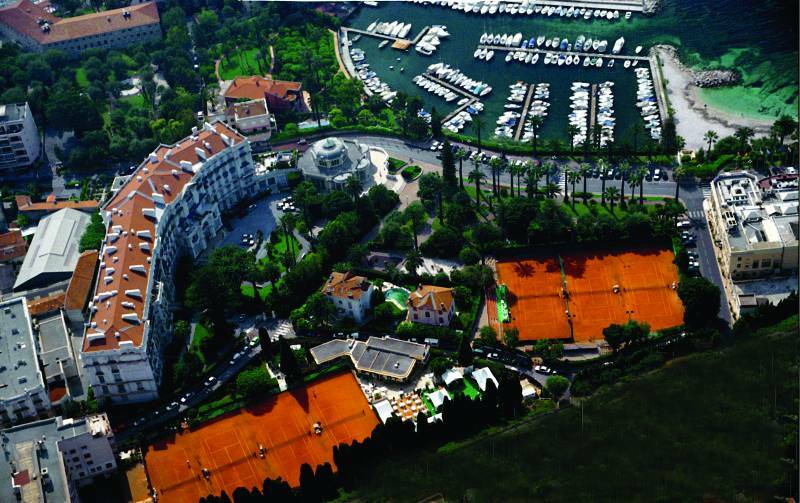 Its fame was confirmed by the «Tournois Internationaux de Tennis» held by the exclusive Hotel Bristol management, after the Second World War, attracting the most distinguished international tennis players of those years to the French Riviera. 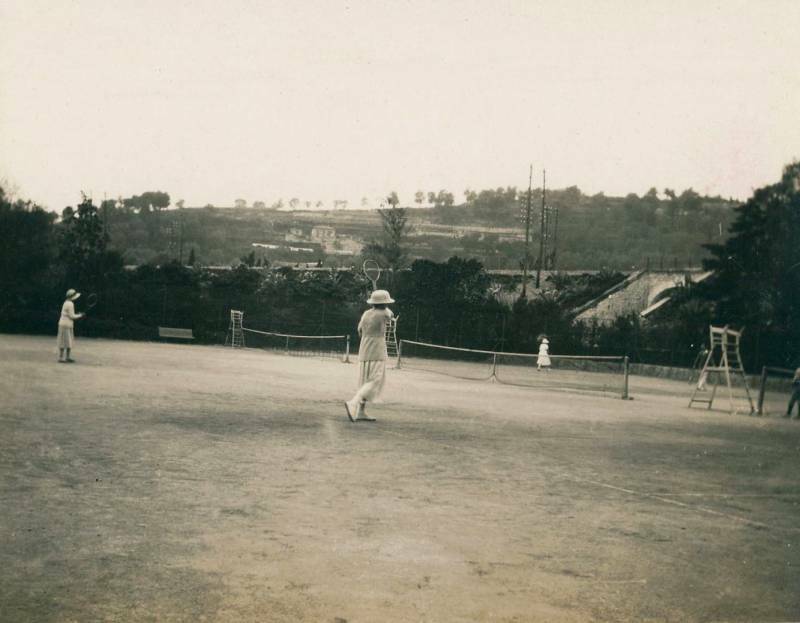 King Gustaf V of Sweden used to visit assiduously the Lawn Tennis Club in Beaulieu, in winter time 1947–48. 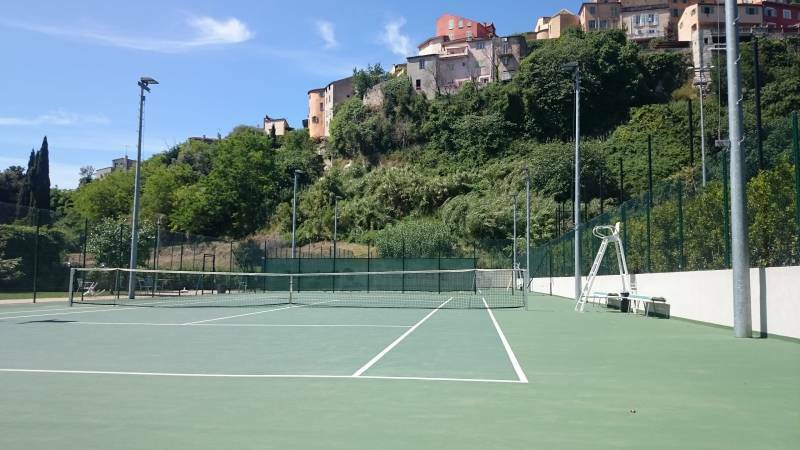 Nowadays, this unique Tennis Club offers 8 high-quality tennis clay courts (including 3 lighted) that still host tennis school courses and major competitions like the ITF Senior Tournament, in March, and the ITF Junior Tournament, Grade 1, in April. Some of the best female & male international tennis players have tested their tactics in this Club. Justine Hénin, Dinara Safina, Jelena Ostapenko (winner at Roland Garros in 2017), Novak Djokovic, Guillermo Vilas, Fabio Fognini and Alexander Zverev (winner of the 2018 ATP Finals), just to name some. The Club House includes 2 locker rooms, a playroom, a bar, a reception office and a gym. Every day, a pleasant restaurant, the «Sun-club», gives shelter to all visitors in its indoor 2 great halls or in the outdoor shaded terrace. 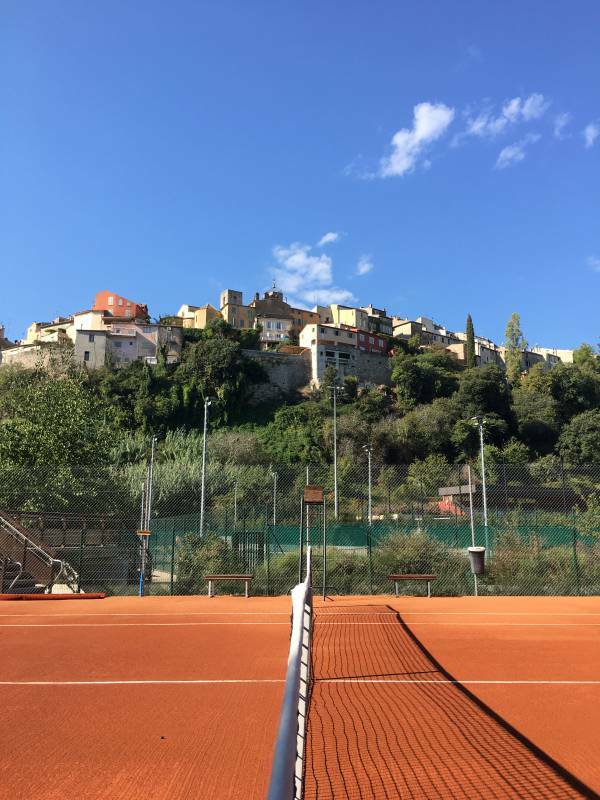 Founded in 1974 as a non-profit association, the Tennis Club Municipal de Biot (TCM Biot) is serving as a qualified tennis school immersed in a cozy environment guaranteed by a family-run management. 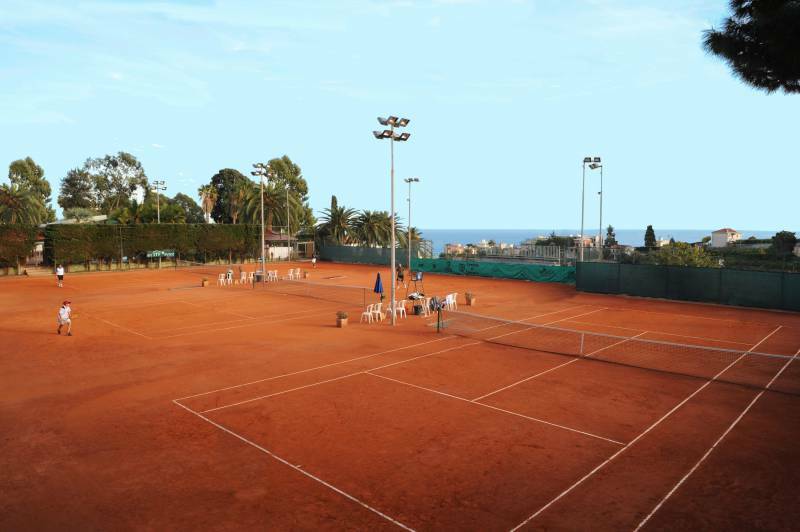 All year round, it offers to all visitors (members or non-members) 2 soft clay high-quality courts as well as 4 hard courts and 2 mini tennis courts. Conceived as a sport & social «hub», the Club school is addressed to visitors of all ages including handicapped players and counting every year 450–500 licensed members, most of which are youth members. Everyone is welcomed at the Club House equipped with a refreshment bar, a leisure area, a pro-shop and furnished dressing rooms. President: Baroness Elisabeth-Ann de Massy. Structure: 23 tennis courts, including 2 covered courts and 2 hard courts. Among which, 13 courts have lights. Total extension: 33,400 m2. Facilities: Fitness centre, swimming pool, squash courts, putting green, snooker zone and a pro-shop. «Club House» gourmet restaurant & bar, open throughout the year, and «M.C.C.C. Summer Lounge» and «SunSet» restaurant by the swimming pool, open during the summer. Address: 155 Avenue Princesse Grace, 06190 Roquebrune-Cap-Martin (French Riviera). Distance from the Principality: 0 km. National, regional and departmental level — from juniors to seniors’ categories. – Summer Tournament (August 3rd to August 17th 2019). Structure: 18 tennis courts among which: clay, Red +, artificial turf, lighted courts and also 2 green courts. Facilities: fitness area, bridge room, gourmet restaurant «Les Terrasses du Parc Imperial» and a pro-shop. Responsible for the Tennis School: Cathy Haren. 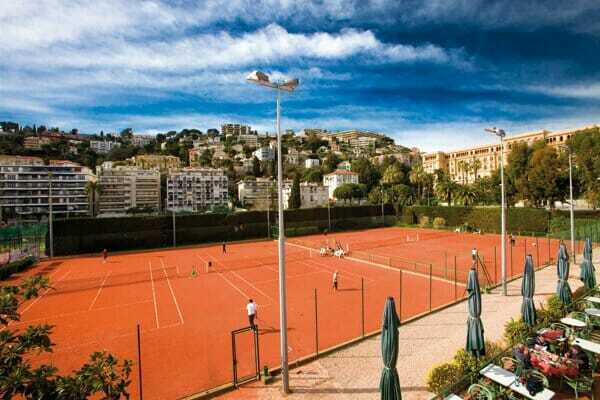 Address: 5 Avenue Suzanne Lenglen, 06000 Nice (French Riviera). Distance from the Principality: approx. 22 km. – Interclubs Jeunes (U12, U14, U18). – LTC Youth Tournament during Christmas Season. 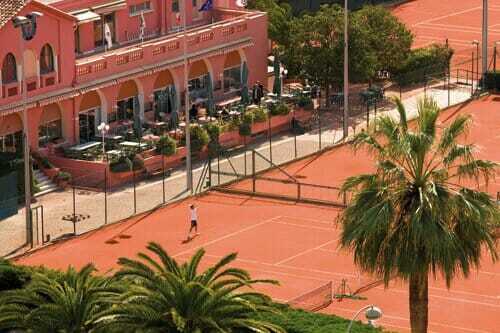 Structure: 10 tennis courts among which: red clay, hard and artificial turf courts. Facilities: fitness centre «Palestra Azzurra», swimming pool, sun room, five-a-side football fields, leisure area, accommodation resort «La Locanda Azzurra», restaurant and bar «Bistrot del Sol». Address: Via Solaro 111, 18038, Sanremo (Italian Riviera). Distance from Monaco: approx. 40 km. 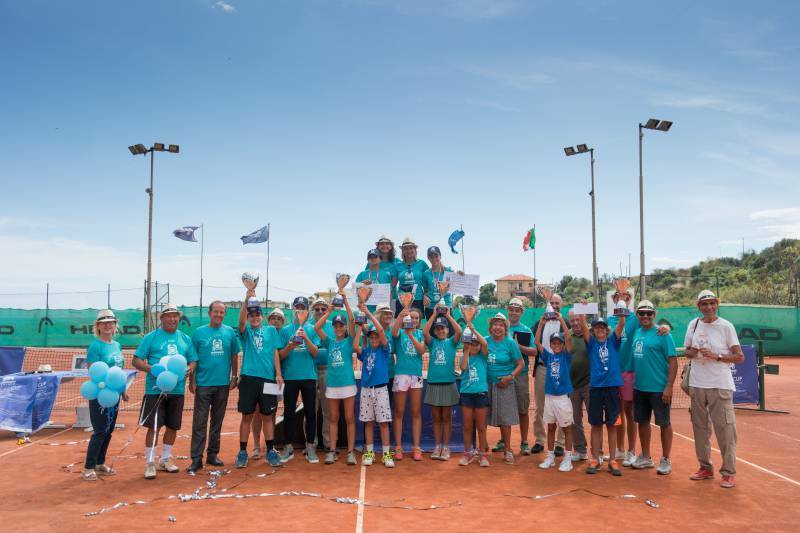 – Volée Cup International Tennis Tournament (Categories under: 10, 12, 14, 16), acknowledged by F.I.T. — next edition 23rd August – 1st September 2019. Structure: 8 tennis courts, including 3 lighted. Facilities: 2 locker rooms, a playroom, restaurant «Sun-Club», bar, a reception desk and a gym. Address: 4 Rue Alexandre 1er de Yougoslavie, 06310 Beaulieu-sur-Mer (French Riviera). Distance from the Principality: approx. 11 km. – ITF Junior Tournament (from 20th until 28th April 2019). Structure: 8 tennis courts among which: clay and hard courts and 2 mini tennis. Facilities: leisure area and a pro-shop. Technical Directors: Philippe Deconinck, Céline Pille, Stéphane Kechnie and Sébastien Moll. Address: Chemin des Combes, 06410 Biot (French Riviera). Distance from the Principality: approx. 40 km.